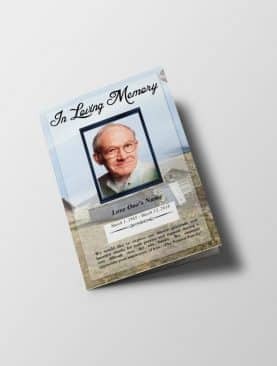 This is just normal blank funeral program template of dimensions 8.5 x 5.5. 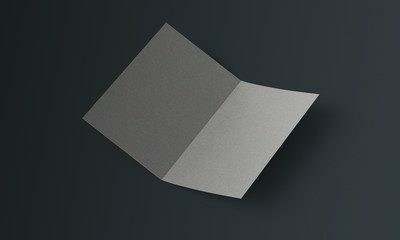 This prints on US Letter Size which folds in center to make TWO folded program on US Letter Size paper. 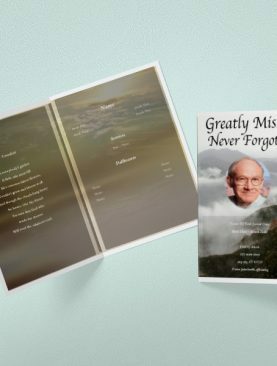 Here you can choose from available background options or upload your own image as background. 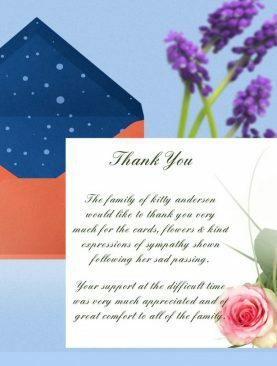 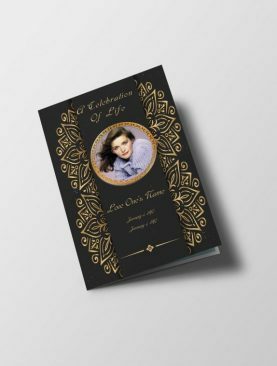 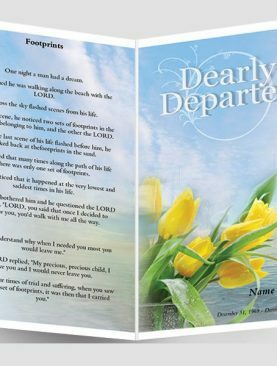 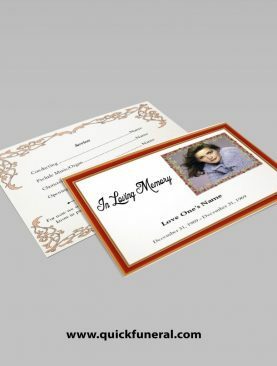 Add funeral sentiments, funeral poems, obituary information as well a photo or photo collage of your loved one. 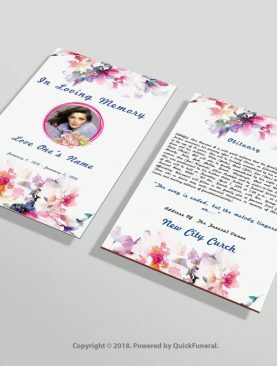 Start editing now and download printable PDF to print unlimited.